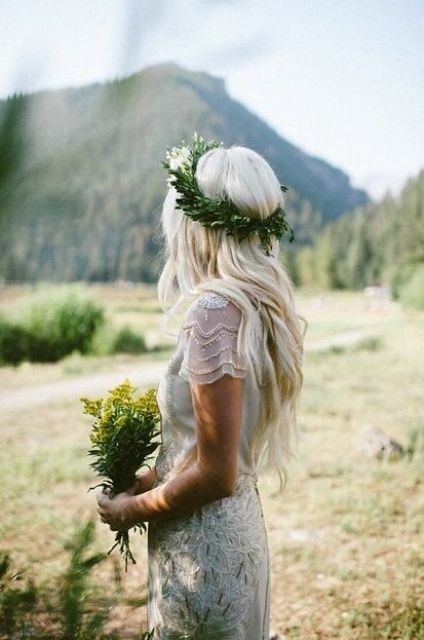 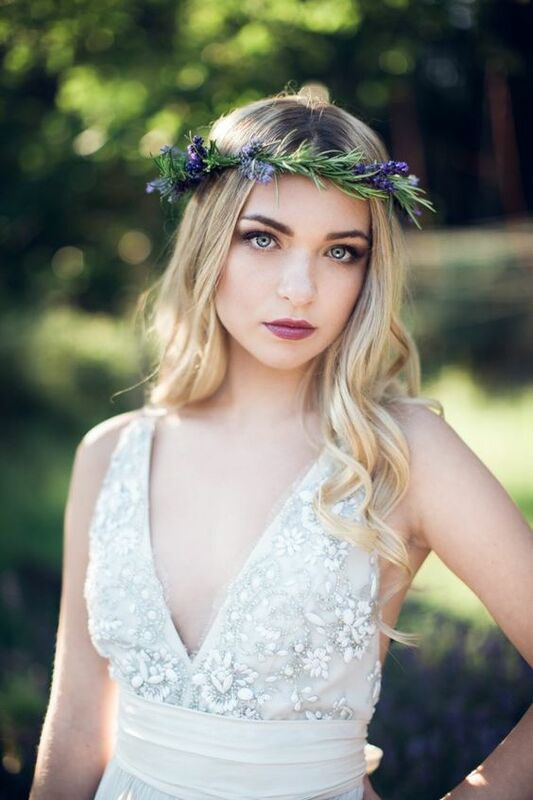 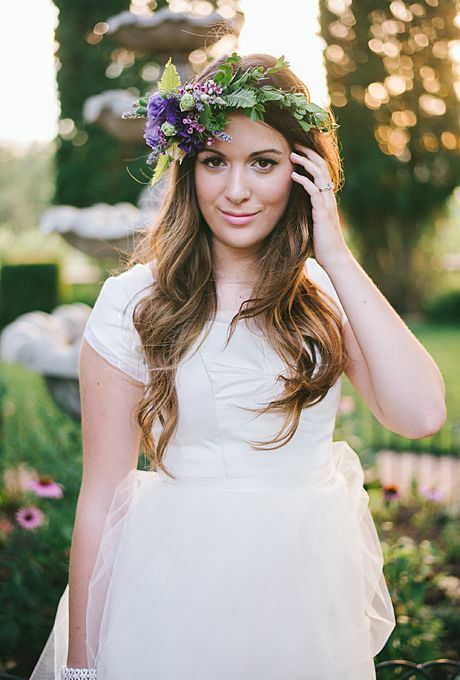 Floral and greenery crowns for brides, bridesmaids and even flower girls is a hot trend that is here to stay. 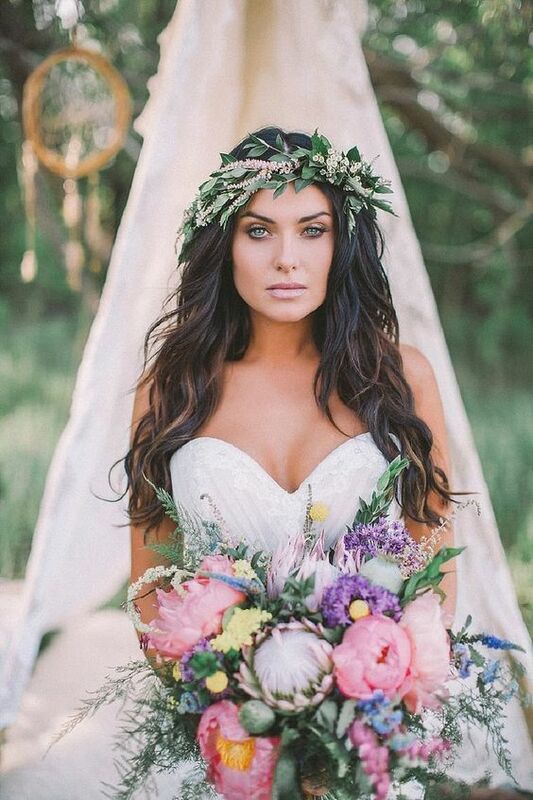 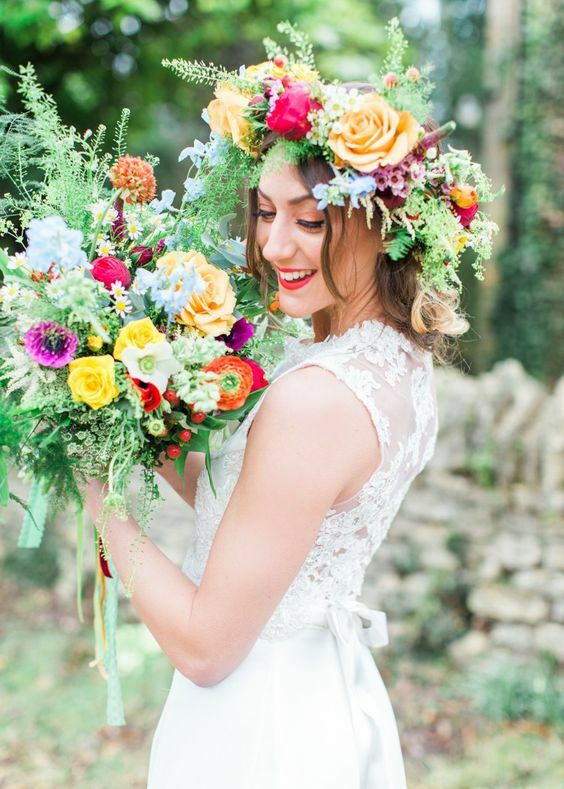 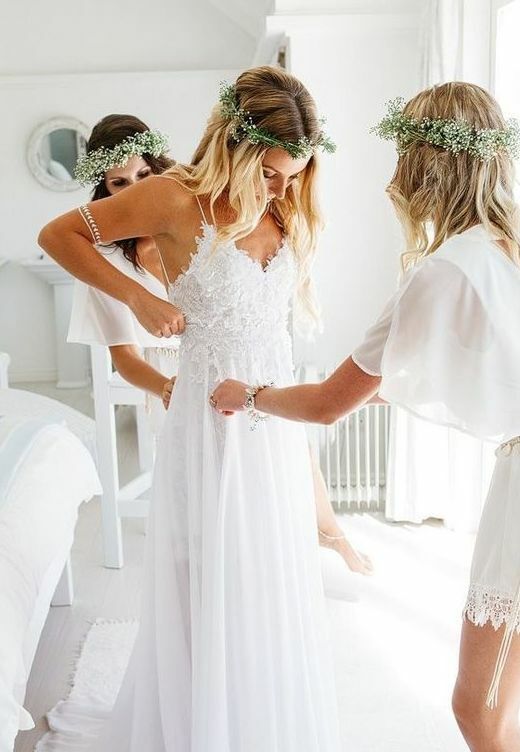 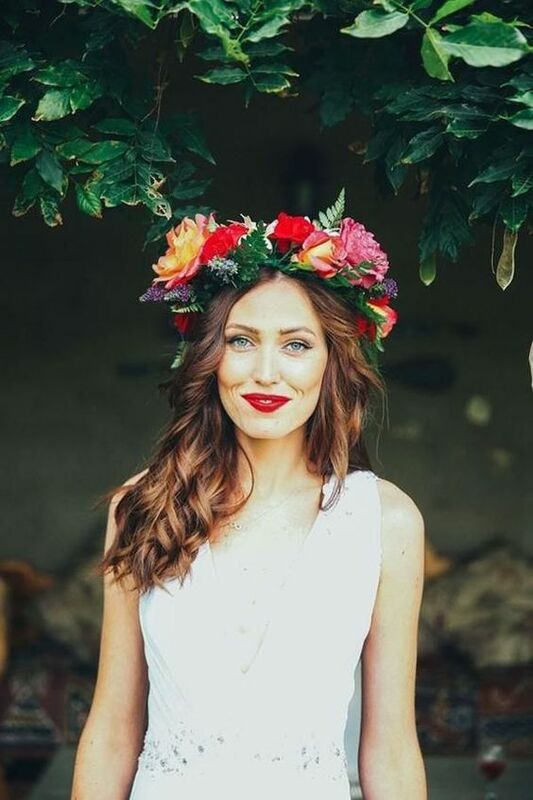 More and more brides choose them for their weddings of all kinds, themes and color schemes because today it’s possible to style a floral crown for almost any look. 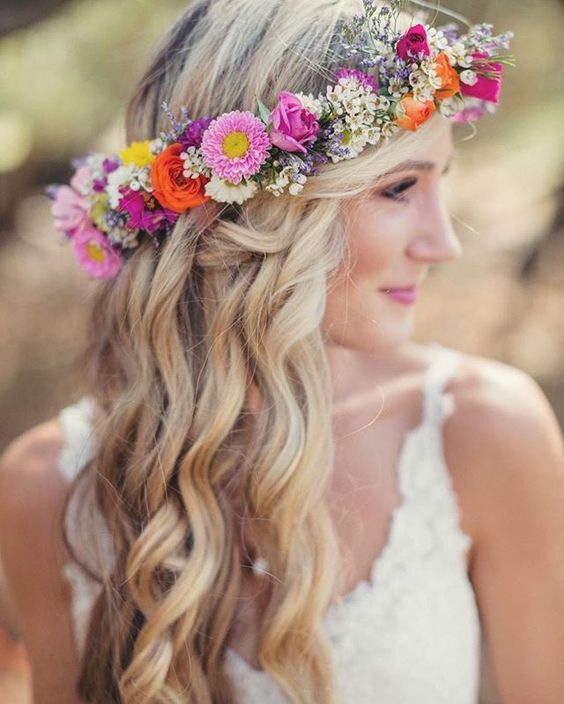 Plus, floral crowns are easy to wear with different hairstyles, especially with loose waves, which are super popular now, and this is the most comfortable fresh bloom type of jewelry to wear. 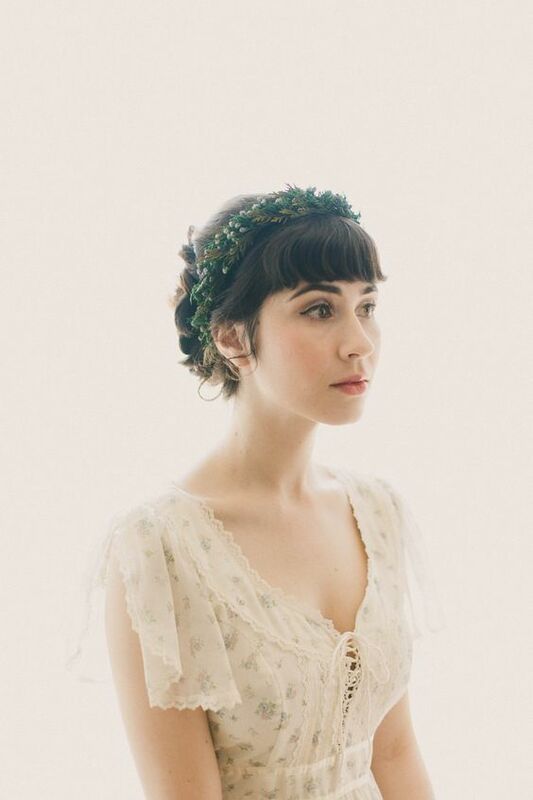 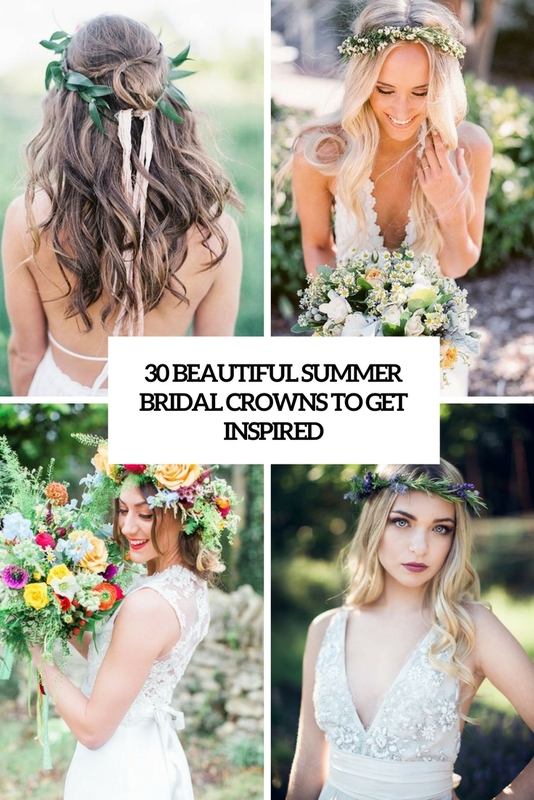 As the summer wedding season is coming, I’d like to share summer bridal crowns, and these aren’t only floral ones, these are greenery ones, too, I hope they’ll inspire you. 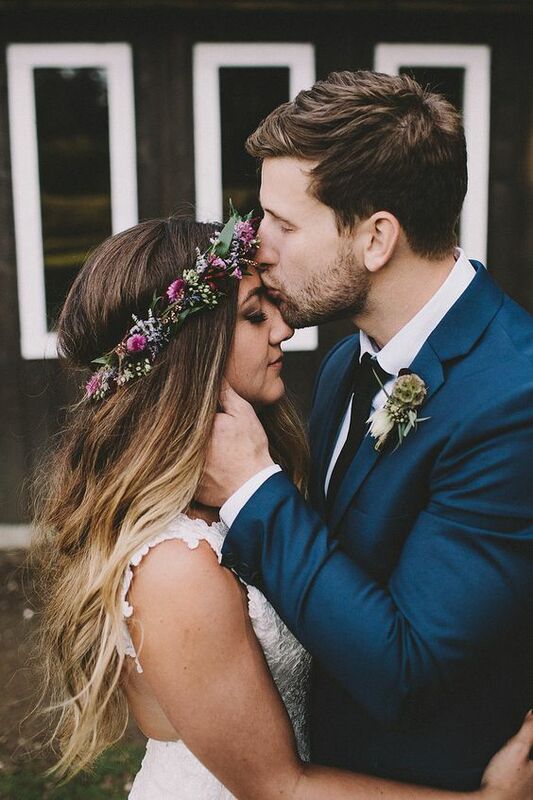 Flower crowns can be made of different blooms, we recommend you to stick to the florals that you’ve chosen for your wedding and to the same colors. 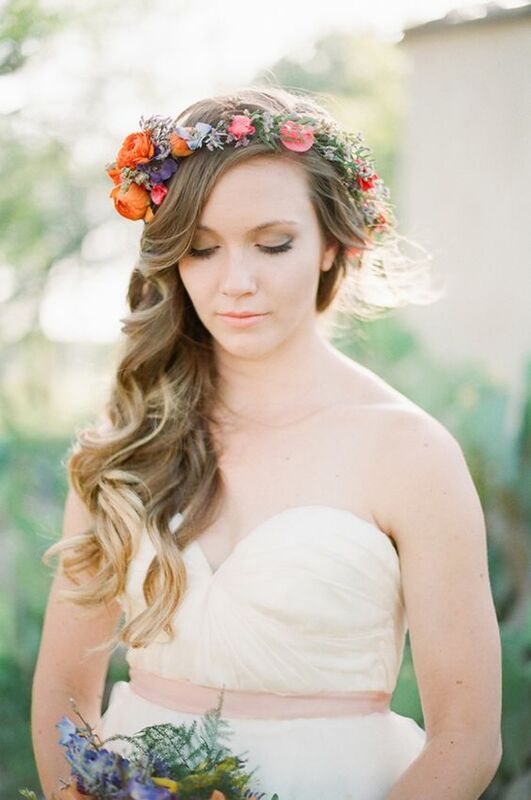 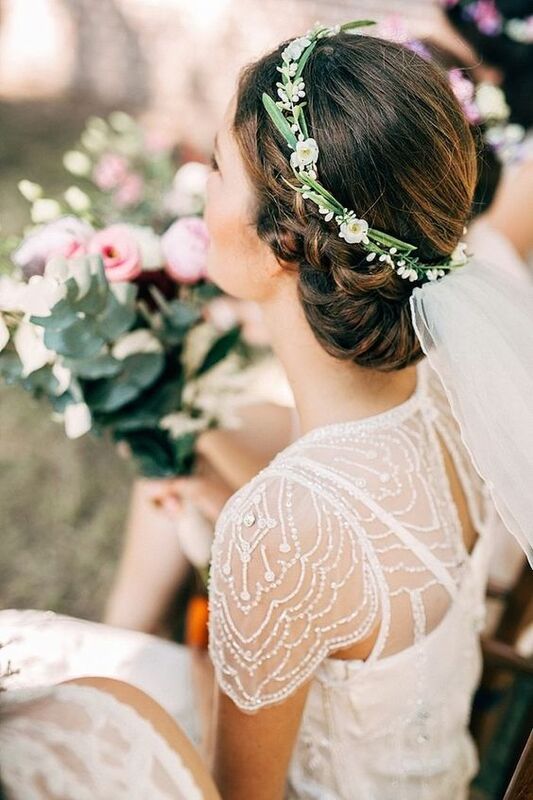 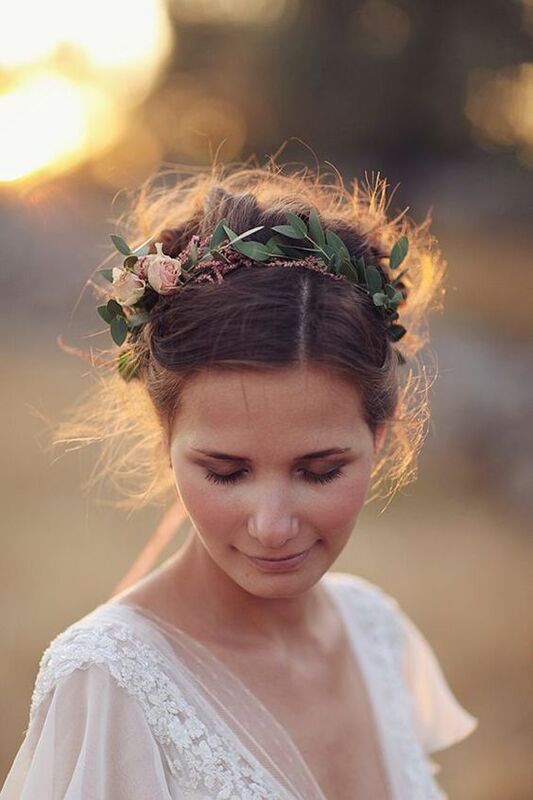 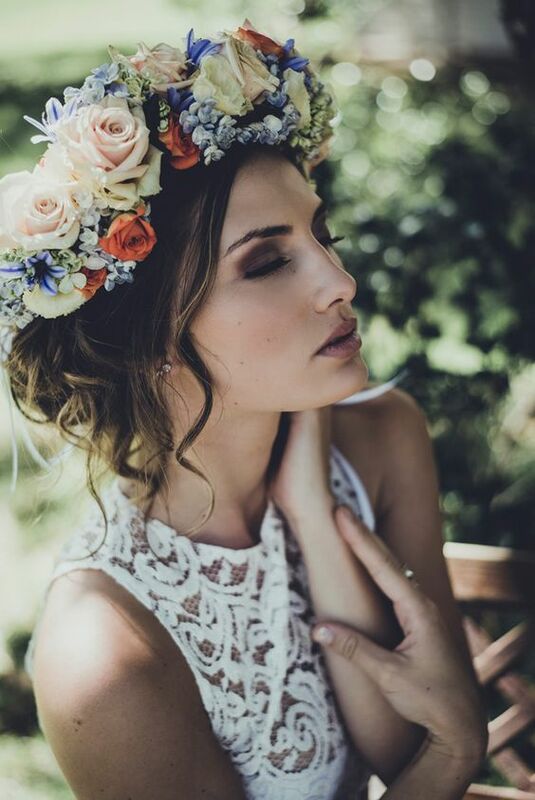 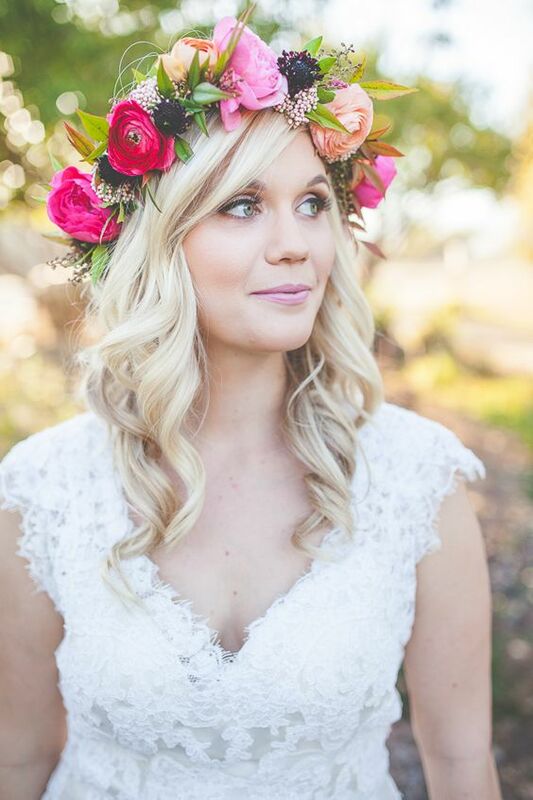 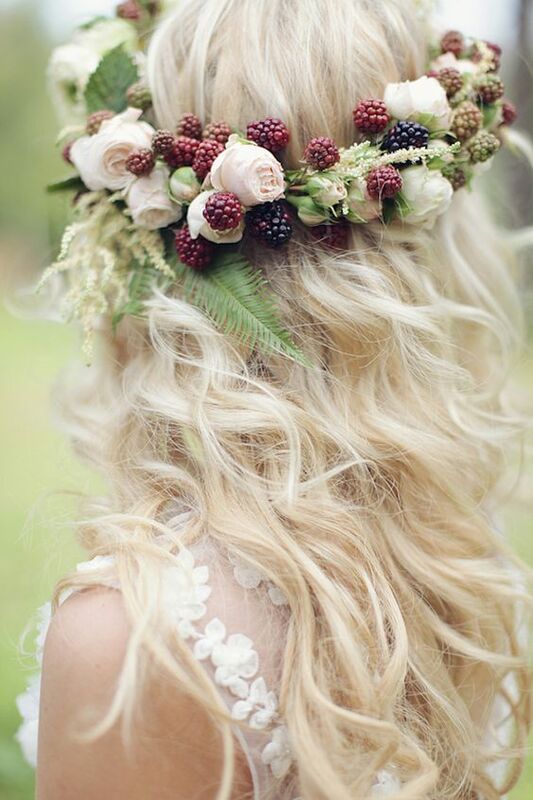 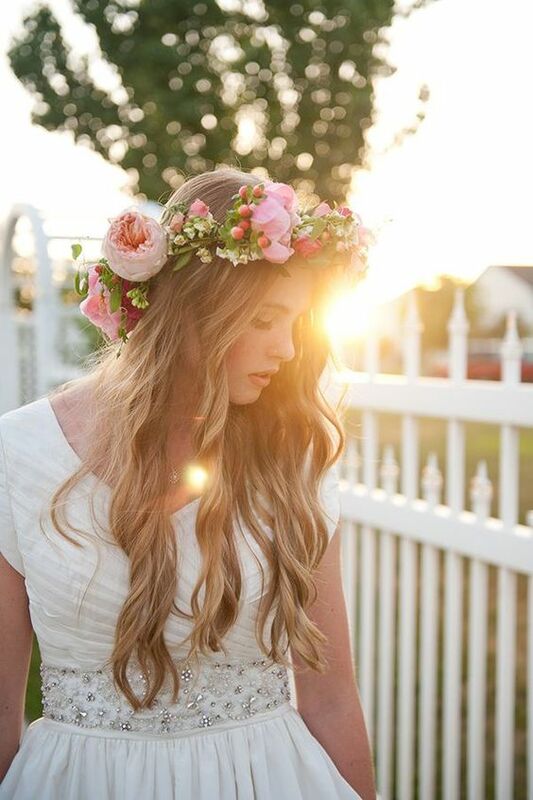 A lush floral crown will help you to infuse your wedding with flowers even more and to embrace the season. 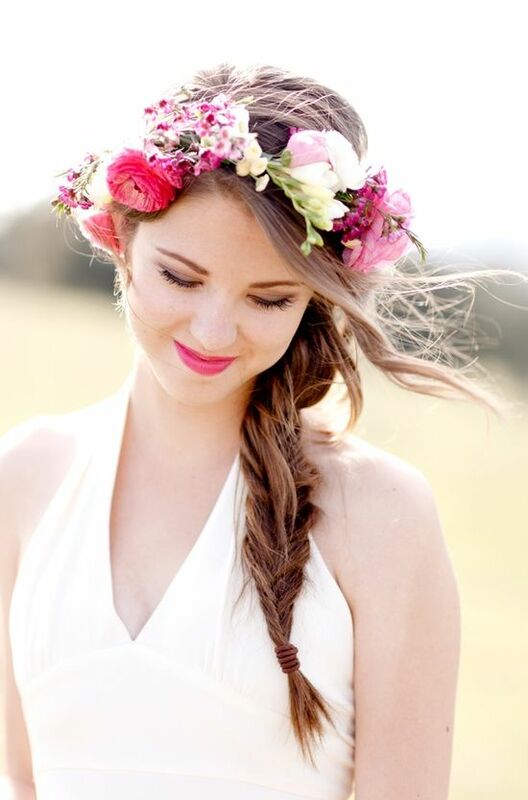 There are different configurations to choose from, and if your hairstyle looks not very cool with a full crown, go for a half one. 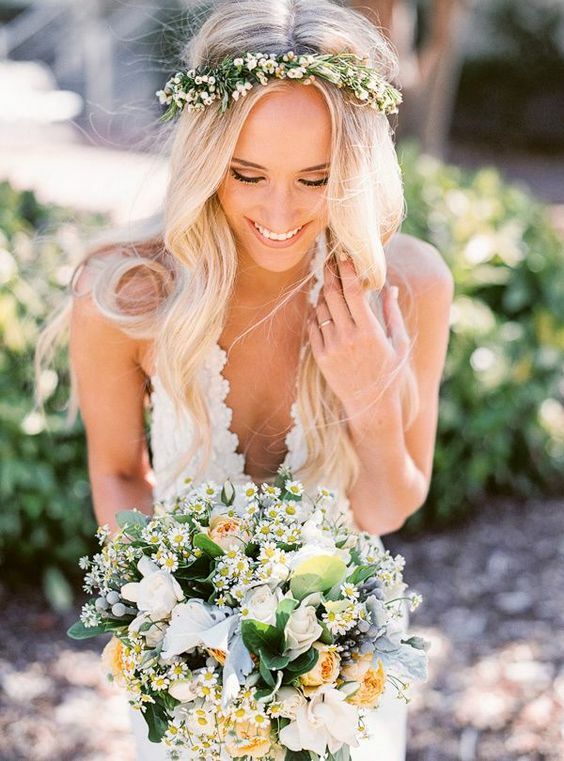 As this is a summer wedding, and the weather in the summer is seldom cold, so you should keep your flowers super fresh and cool and opt for those blooms that can stand a hot day without withering. 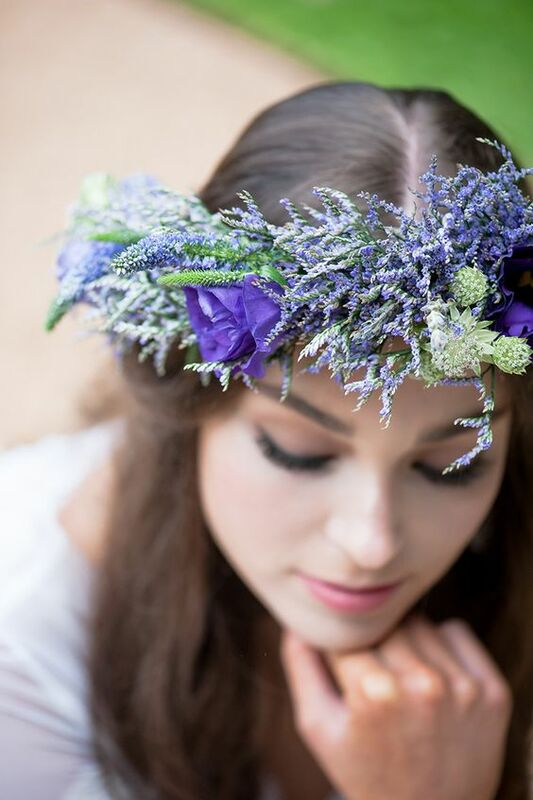 These can be wax flowers, which are small, wildflowers or some other blooms that can stand the heat. 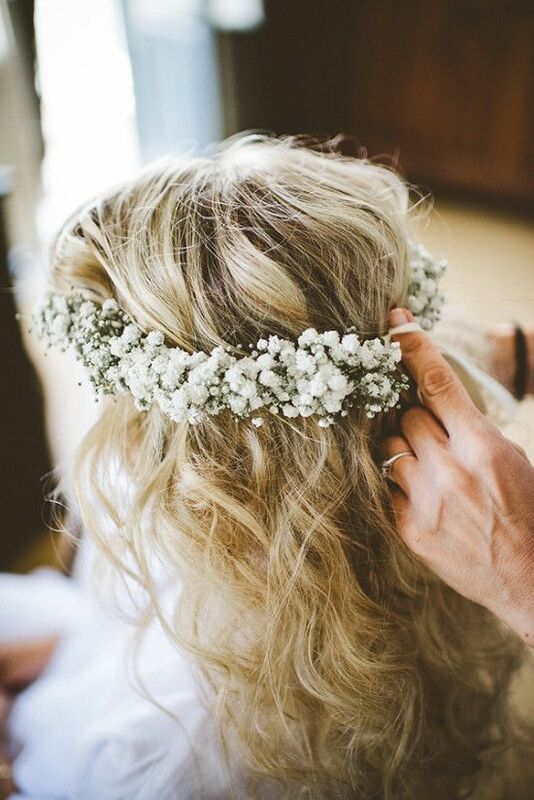 Baby’s breath is a very popular type of flower to rock in such crowns because it looks extremely elegant and chic and will last all day. 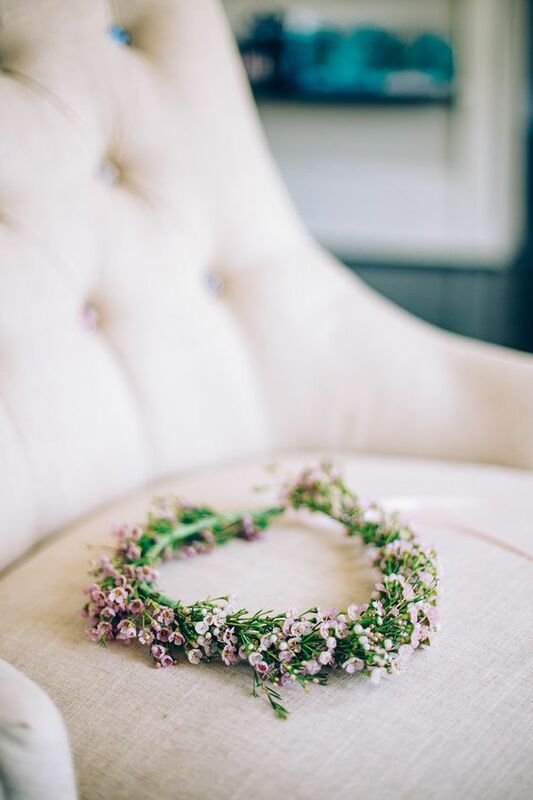 If not, then take off your crown when you notice that the flowers are dull, for example, after the ceremony – nobody wants them on the photos, right? 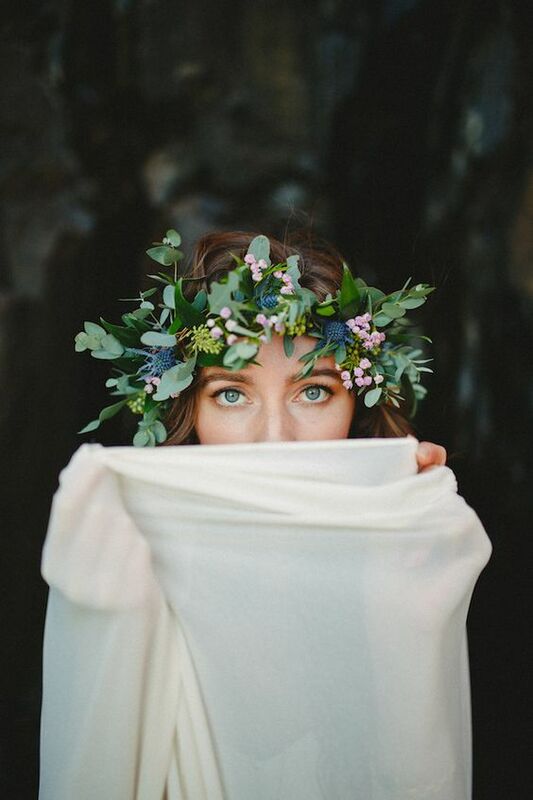 Many summer and tropical brides opt for greenery and herb crowns or crowns with a minimal amount of flowers for a certain reason: it’s gonna be hot and the blooms can wither, which can spoil the bridal look. 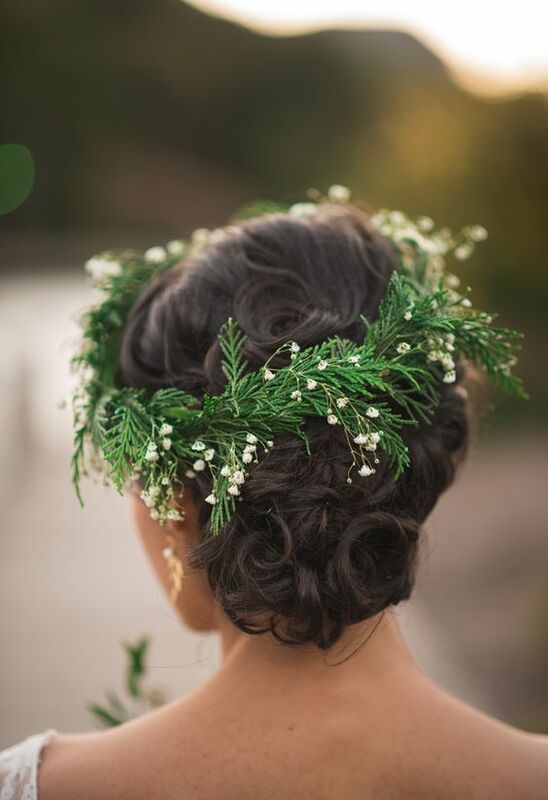 Evergreens and various leaves are the best thing for such a crown because they are really long-lasting and are comfortable in wearing. 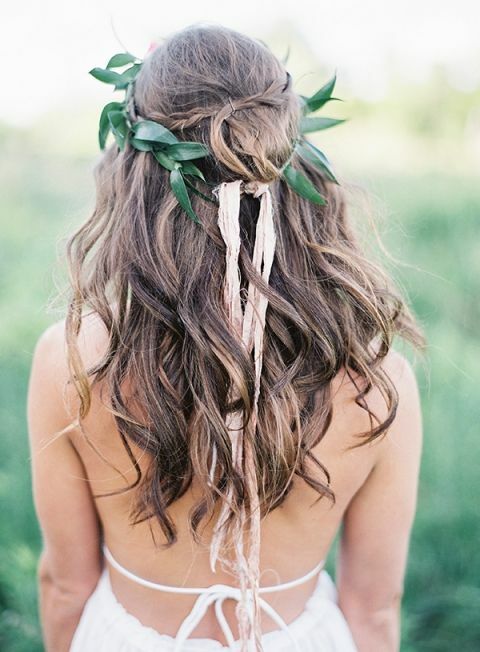 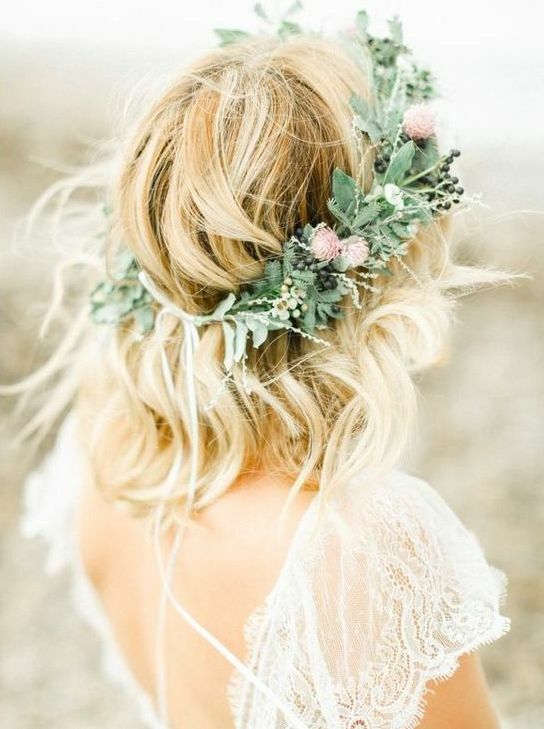 Add thistles, lavender, berries and ribbons for a cool textural look and voila, your bridal look is adorable! 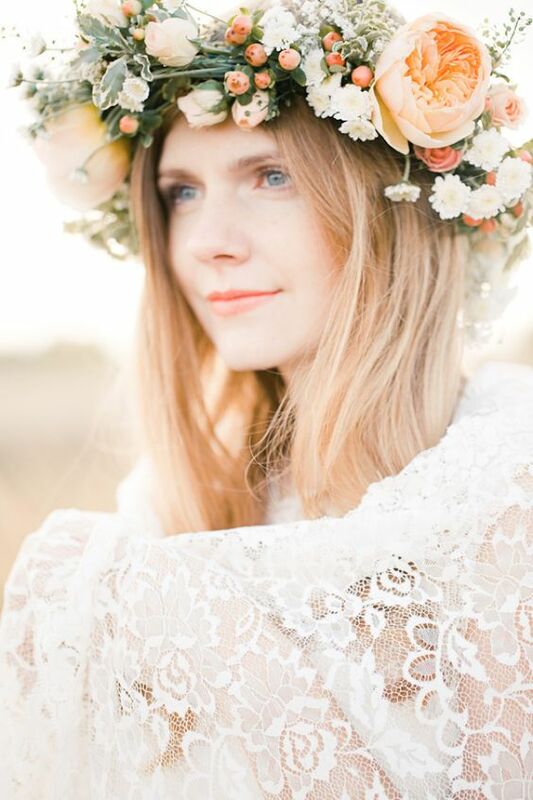 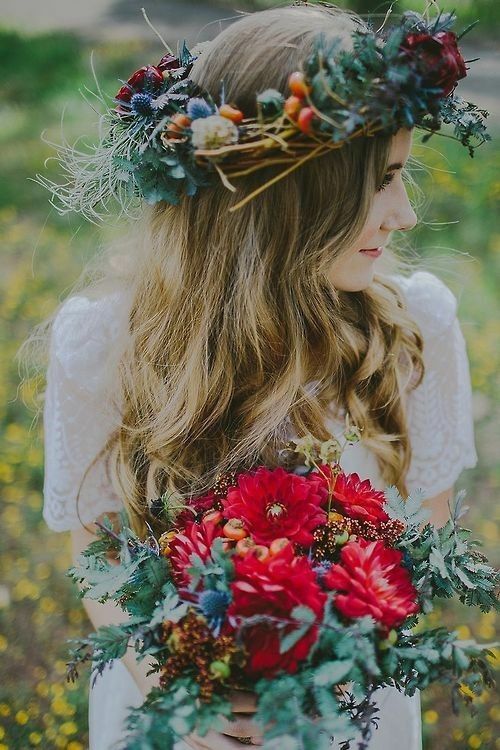 You can also opt for a cool leafy or greenery crown with just one large bloom on the side, so it will be a floral crown but one large bloom won’t look so dull as many of them.